This building was constructed for R.J. Whitla & Co., dry goods wholesaler and internally features pre-fabricated cast iron columns. Whitla & Co. constructed a larger warehouse on McDermot Avenue in 1899 and sold this building to the Winnipeg Telegram Printing Co. 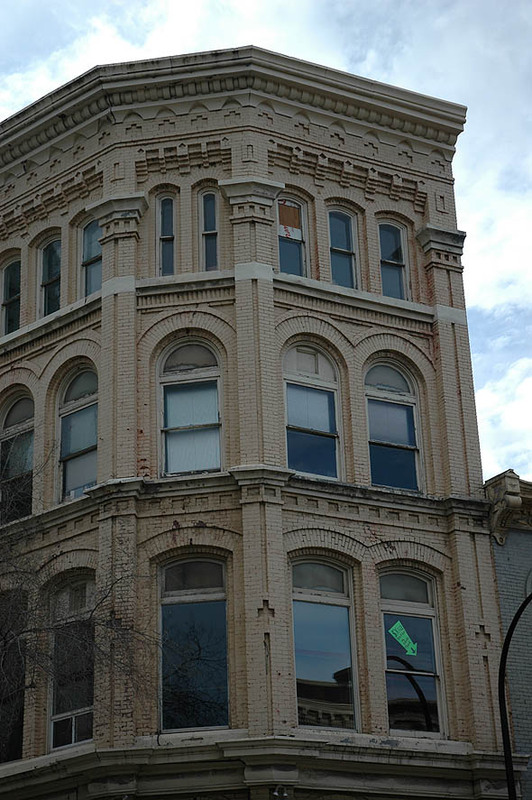 The Telegram, a conservative daily newspaper, operated from the building until it was bought out by the Winnipeg Tribune in 1920. The style of the massive structure is emphatically Victorian, with architectural details drawn from numerous classical orders. Excellent and creative craftsmanship is demonstrated in the brickwork, and the heavy cornice and rounded windows add to the beauty and interest of this structure.